See available 2800 Williams Island condos for sale. Luxury waterfront residences at 2800 island Blvd Aventura Fl 33160 feature spacious residences and views. 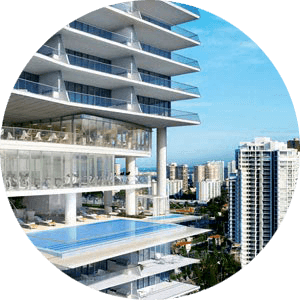 2800 Williams Island condos in Aventura Florida located at 2800 Island Blvd Williams Island are a luxury waterfront and city view residences. Constructed in 1990 with 32 story high condos for sale in 2800 Williams Island offer spacious two, three and four bedroom residences and range in size from 1600 to spacious 2800 square feet of living space. Condos for sale in 2800 Williams Island feature resort five-star luxury service and amenities. Please Contact Us or give us a CALL 786-505-4786 if you need more info on the 2800 Island Blvd Aventura Fl 33160 condos or would like to schedule a showing. A boutique building 2800 Island Blvd Aventura Fl 33160 condos complex is Williams Island luxury waterfront destination. The 2800 complex was built in 1990 this 32-story tower is residence to 160 luxury condominium owners. Spacious wide open floor plan condos for sale in 2800 Williams Island offer two to six-bedroom units that range in size from 1600 square feet to 2800 square feet of living space and large terraces to take in the views. Williams Island is Located right on the Dumfoundling Bay, 2800 Williams Island condos for sale offer expansive views of the Ocean, Intracoastal, and the City. The 2800 building Williams Island located in the heart of Aventura. Complex features distinctive architecture, beautifully landscaped tropical gardens, designer finished condos, heated pool and fitness area, assigned parking, so much more and great location. Aventura is Boat Lover dream come true, as the condos for sale in 2800 Williams Island have access to South Lagoon Marina and Yacht club and direct access to Intracoastal. Located only minutes away from the condo complex owners can enjoy the close proximity of the marina and docks without having to travel too far. Williams Island as a community has so much to offer, it is truly a luxury resort setting year round, a total of 7 luxury condo towers with luxury townhomes and single family waterfront homes share luxury lifestyle at Williams Island. Located within close proximity to fine dining, gourmet restaurants, luxury boutiques, Aventura Mall and the Shops of Bal Harbour living in 2800 Island Blvd Aventura FL complex is like a vacation year round. With a short 30-minute drive to Fort Lauderdale, Miami International getting to and from Williams Island 2800 condos is a snap. Williams Island is a unique and distinctive place to live; it is almost like a city within the city of Aventura. 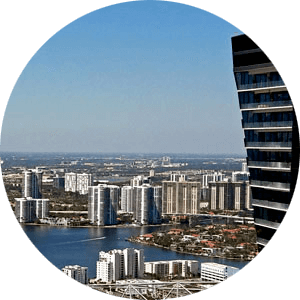 See all available condos for sale in the 2800 Island Blvd Aventura Fl 33160 complex and call us 786-505-4786, one of our agents will be glad to help you find the condo of your dreams in Williams Island.